Recently, The Vatican lifted the ban of excommunication to the Society of Pius X, an ultra right wing group and the four illicitly ordained Bishops. The Bishops, had been ordained by the breakaway Archbishop Marcel Lefebvre. 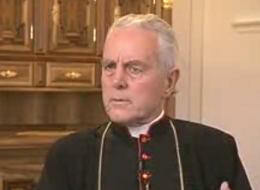 Archbishop Lefebvre split with the Vatican for a number of reasons one of which was the action of the Second Vatican Councils' adapting and passing Nostra Aetate. This is a document of tolerance of other religious beliefs. 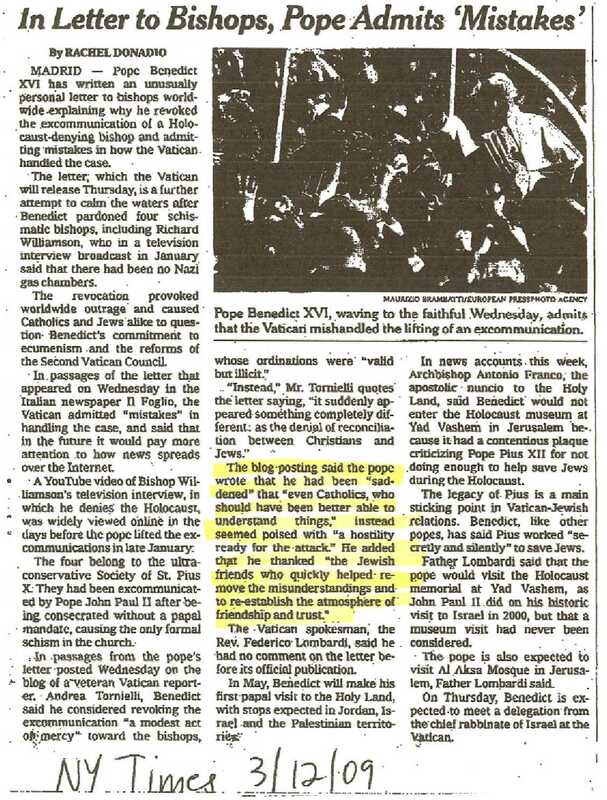 On the commemoration of the 50th anniversary of the Second Vatican Council Pope Benedict XVI used this occasion to lift the ban of excommunication, which was generated when Archbishop Lefebvre ordained four Bishops in direct violation to a papal order not to do so issued by Pope John Paul II. It was this act of defiance against the Papal order that generated the excommunication. After the announcement of the lifting of the ban was made on January 21, 2009 a video interview of one of the Bishops, Richard Williamson, surfaced where he quite plainly denied the holocaust impact on the Jewish people and stated that not one Jew perished in any gas chamber. This Holocaust denial set off a firestorm of protests and negative remarks, which created a temporary rift in Jewish Catholic relations. Unlike many of the inter-religious organizations Pave the Way Foundation did not issue a protest or a press release of condemnation but instead set out to find out the truth of this action. In the furtherance of our mission to identify and eliminate obstacles between the faiths we have issued the following statement of our findings and the role the media played in exacerbating this sensitive issue.